A 28-year-old man has been arrested on a charge of abandonment after four young children died in a West Texas house fire Wednesday. The Lubbock County Sheriff's Office said in a statement Thursday that Wesley Lance Harvey was being held on charges that include abandoning or endangering a child. Sheriff's Capt. Joseph Gilliam declined to explain Harvey's relationship to the four children, any preliminary indication of what caused the fire or provide any other details. 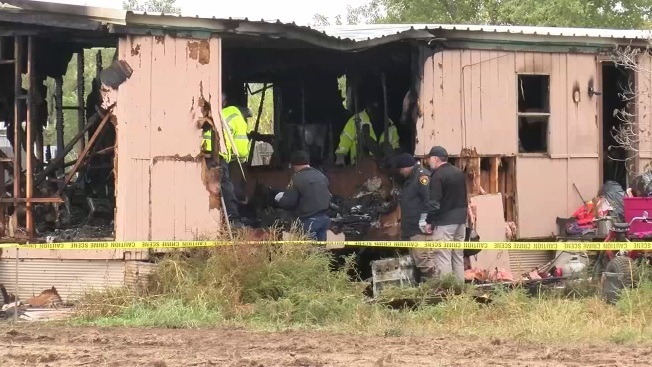 Deputies responded late Wednesday to the fire at a mobile home west of the city of Lubbock. Deputies and other first responders found the children inside the home and attempted life-saving measures, but none could be revived. The oldest was 7 years old and the youngest was 1. Online jail records don't indicate an attorney for Harvey.